From Mexico to Uruguay and Hawaii to Guatemala, the following temple presidents and their wives have been called to serve in temples around the world. 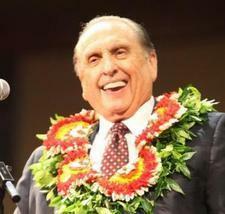 Julio Enrique Alvarado Guoz, 66, Don Justo Ward, Guatemala City Don Justo Stake, called as president of the Guatemala City Guatemala Temple, succeeding President John B. Norman. President Alvarado’s wife, Blanca Estela Barrientos Pellecer de Alvarado, will serve as temple matron, succeeding Sister Christine C. Norman. He is a stake family history consultant and a former Area Seventy, Guatemala Quetzaltenango Mission president, stake presidency counselor, bishop, and branch president. An area Public Affairs director for the Church, he was born in Guatemala City, Guatemala, to Jose Miguel Alvarado Galicia and Faustina Guoz Coronado de Alvarado. Sister Alvarado is a stake temple and family history consultant and temple ordinance worker. 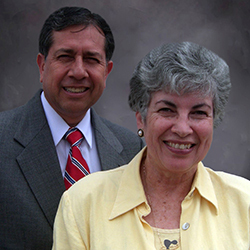 She served with her husband as he presided over the Guatemala Quetzaltenango Mission and is a former stake Relief Society president, ward Relief Society counselor, and Guatemala MTC Relief Society presidency counselor. She was born in Guastatoya, Guatemala, to Julio Vicente Barrientos Morales and Elsa Estela Pellecer de Barrientos. Stanton Lynn Call, 67, Crescent 29th Ward, Sandy Utah Crescent North Stake, called as president of the Hermosillo Sonora Mexico Temple, succeeding President Ronald E. Dalene. President Call’s wife, Janet Lynn Newsome Call, will serve as temple matron, succeeding Sister Joyce L. Dalene. He is a stake self-reliance specialist and ward missionary and a former Mexico Tampico Mission president, Mexico MTC presidency counselor, stake president, and bishop. An independent software consultant, he was born in Ogden, Utah, to Rulon Wood and Marianne Hickenlooper Call. Sister Call is a stake self-reliance specialist, ward missionary, and temple ordinance worker. 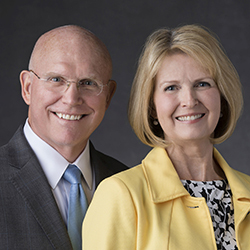 She served with her husband as he presided over the Mexico Tampico Mission and is a former stake and ward Young Women president and stake and ward Relief Society presidency counselor. She was born in Salt Lake City, Utah, to Paul Ivan and Mary Beth England Newsome.